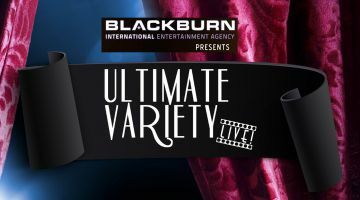 The dynamic worldwide entertainment booking agency Blackburn International will be holding an entertainers showcase on June 1 & 2, 2019! Blackburn specializes in creating unique events and supplying exciting artists for leading cruise lines, company entertainment and the perfect private functions. Acts will include a wide variety of entertainment, from comedians & magicians to ventriloquists & street theater acts to instrumentalists, vocalists & tribute artists! Hosted by Kelly Clinton Holmes, with performances from local artists such as Tim Molyneux, Elyse Branch and Shayma Tash.